See scan - perfect condition. This is a nice and scarce Great Britain / British Masons Grand Lodge / masonic Order of Merit in gold plating and scarce enamel work. The order is inscribed in Latin saying NEMO MORTALIUM OMNIBUS HORIS SAPIT and around it is the name of the Lodge and order - ROYAL ANTEDILUVIAN ORDER OF BUFFALOES. In the center of the order cross there is a scarce buffalo head with red enameled eyes. 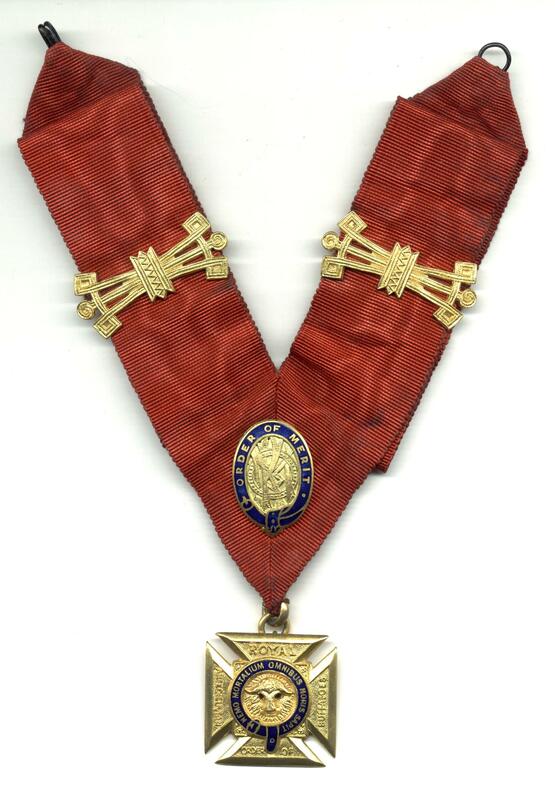 Very nice and scarce masonic regalia collector piece and one of the nice Masonic / Freemasonry orders.